I've had a lot of Dynam models with retracts and exactly one failed retract. Upgraded the retracts on a Me262 but that was mainly for the cool CNC machined struts that came in the retract set. I have about 100 or so assorted servos, dozens of motors, ESCs, retract sets and other equipment sitting in a drawer with nothing to put them in. Things like this are why I would prefer to have ARF versions of more models available rather than just the PNF or BNF that are now so common. They forgot detrum is almost detrimental... almost. Detrum motors and ESCs are actually pretty decent. I'm currently installing a 70 mm EDF from a Dynam Me262 in a HobbyKing Goshhawk. Some creativity is needed because the Dynam 4S EDF housing is larger (heavier duty) than the EDF (no motor) that came with the ARF. The Dynam motor on 4S would make the fan in the ARF shed blades. Hmmm, do you own a Freewing or FMS Jet? Dynam is not in the same league as either of those, yet anyway. Fit and finish are miles apart. But usually so are the prices. I see Motion YouTube announcement for project foil is coming soon! Join us live for the debut of the next Freewing aircraft! Amazing, the flight review is amazing, well done Freewing. This EDF will be the best yet and will be xtremely popular. It was announced last night and there is a thread about the new F-22 in the EDF section. The release kinda left me flat. Not really high on my "must have" list. Maybe after the field testing by buyers begin interest will grow. I am following the thread on it. so was the flight video of the raptor the 6s or 8s version? 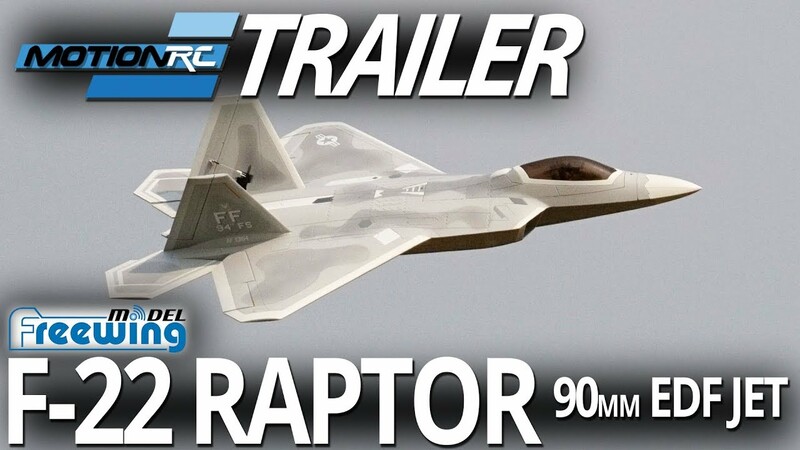 Welp, like you I'm not too excited about the appearance of an F-22, honestly. But Alpha is indeed listening. I think he probably has been all along. So he has developed a very cool plane, that can be flown by many. I may not be a big fan of the appearance of a new F-22, would have loved an A-7, but everyone simply can't have everything they want. Life doesn't work that way, it never will. As for my tastes in air craft, they're well, my tastes, I'm sure all of you have yours. So with this said, I'm deciding as to pull the trigger on the new offering, or get me a new A-4. . Details to follow.